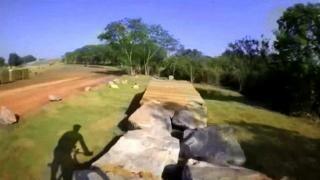 Take a look at the Rio 2016 Olympics mountain bike course, courtesy of course designer Nick Floores' helmet camera. The course is located at the Deodoro Sports Complex, which is also where the canoe slalom and BMX events will take place next summer. According to the organising committee works are almost complete on the course, with a mountain bike test event due to be held in October.